We Have also developed Rice Bag and Sack with Metalised lamination with side Transperent window so that the Rice Grains can be seen From Both side of the gusset. 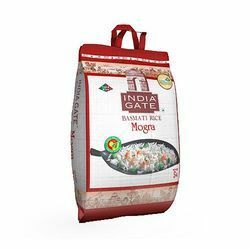 These are best suited to pack rice therefore we are one of the largest Rice Bags Manufacturer. Designed and printed as per international quality standards, we can also deliver these as per the specific packaging requirements. 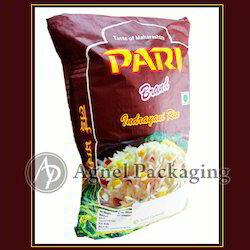 We have the packaging from 5 Kgs to 75 Kgs with a brand building designs. These Rice BOPP Multicolor Printed Laminated, PP, Woven Sack and Bag are made of premium quality raw material to ensure longer life. We offer these Rice Sacks for commercial purposes, specially to pack rice grains. we can offer this bags in Matt & Glossy finish with side gusset. This bag wil built the Brand Image & looks very International packing. 4) with side Gusset it shows the Rice quality which atttracts the end user. Looking for Rice Bag And Sack ?